It came up in the news last week about a woman who married the cardboard cut-out of Robert Pattinson. IN Las Vegas! When I read the article I did notice that she had a restraining order against her because she had stalked his home. Cruze on 105.1 The Buzz read it last week as well and wanted my thoughts on it. Funny conversation as usual. 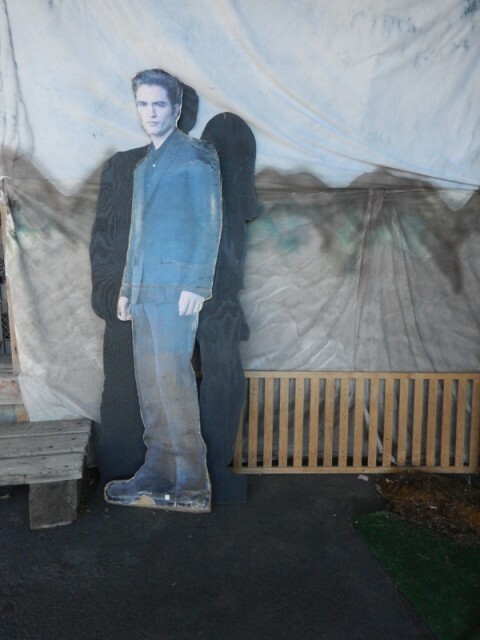 I didnt realize there were so many ROB cutouts from Twilight. 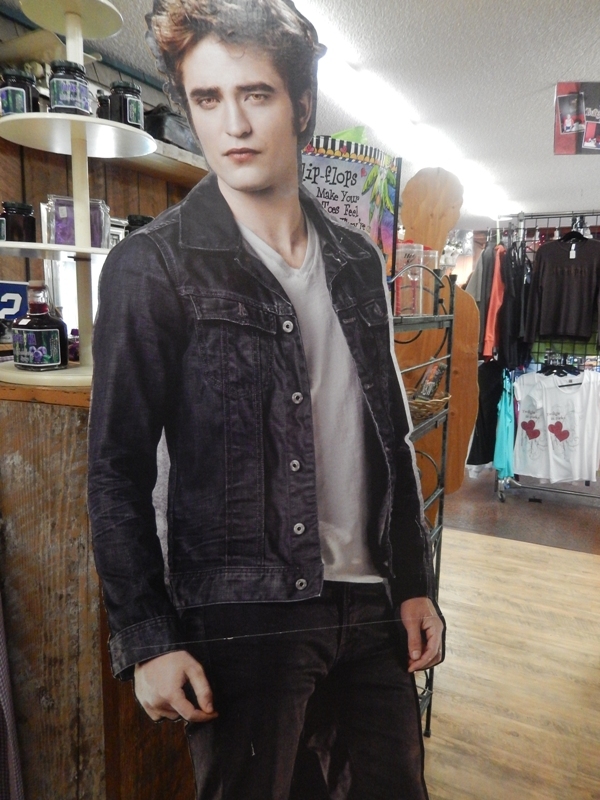 I came across several on my trip to Forks for Stephenie Meyer Day. 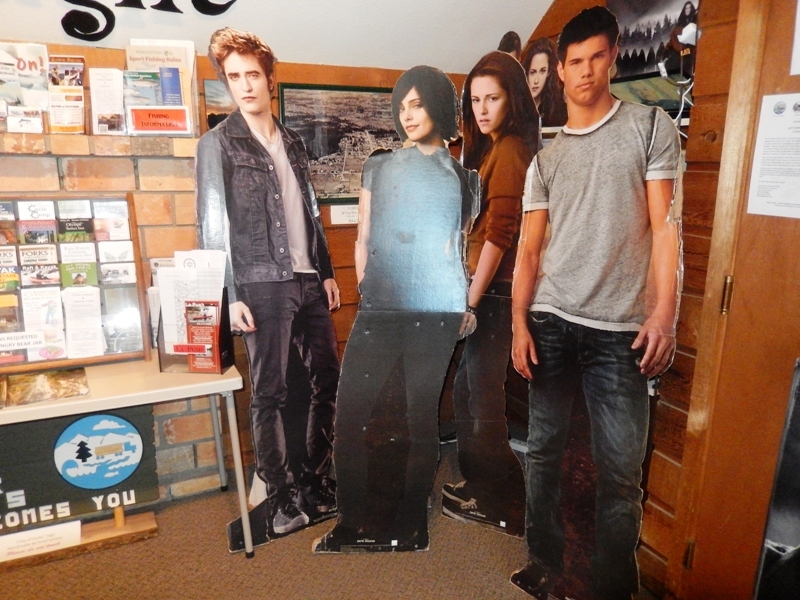 They were fun to see.